These graphic t-shirts will be your new wardrobe go-to's. Graphic tees can be a great way to spice up an outfit, especially since they’re so comfortable. They work perfectly layered under denim jackets, flannels, or even cardigans, adding unexpected dimension and color. 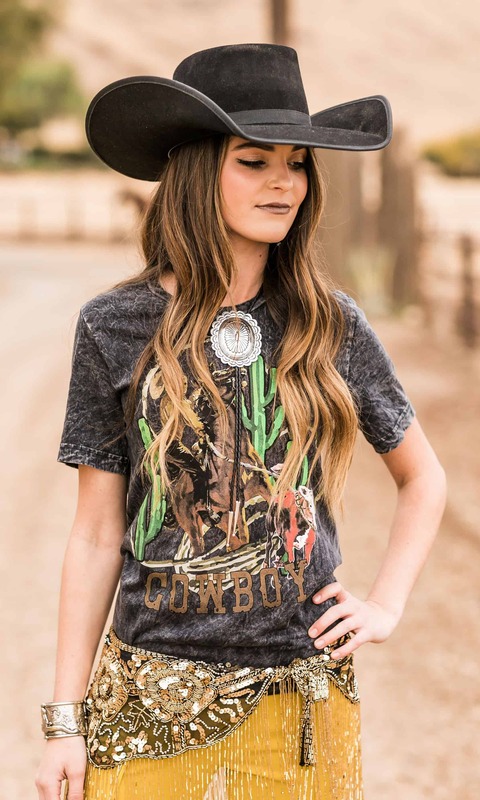 Catch’em Ketscher Tee from Rodeo Quincy. 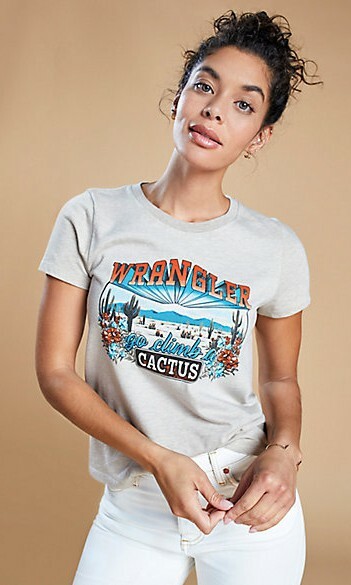 Distressed Desert Graphic Tee from Wrangler. 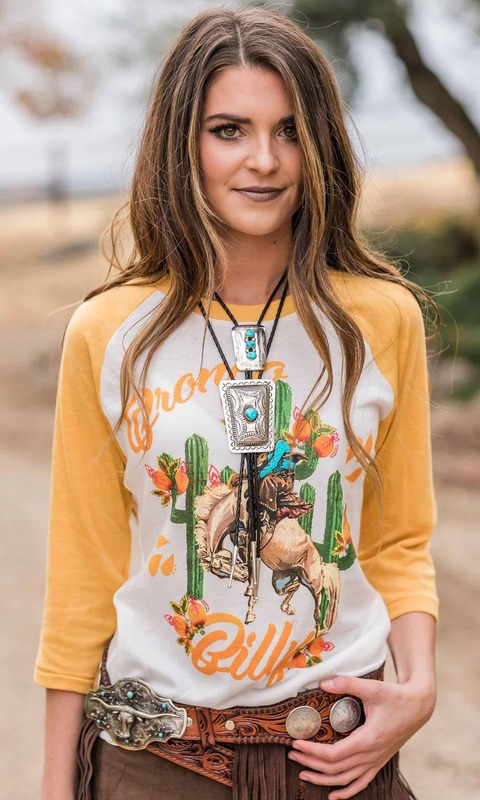 Bronco Billy Baseball Tee from Rodeo Quincy. 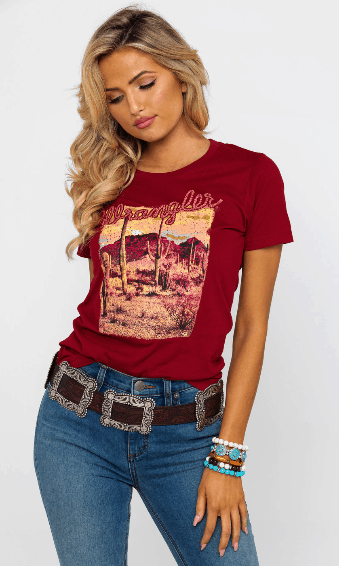 Mohawk Tee from Kimes Ranch.